Jules and her father were servants at Everless, the Gerlings’ palatial estate, until a fateful accident a forced them to flee in the dead of night. When Jules discovers that her father is dying, she knows that she must return to Everless to earn more time for him before she loses him forever. But going back to Everless brings more danger—and temptation—than Jules could have ever imagined. Caught in a tangle of violent secrets, Jules must find the power to change her fate—and the fate of time itself. Praised by Kirkus as “a heady, addicting page-turner” and “utterly absorbing”! Fans of Victoria Aveyard, Kendare Blake, and Stephanie Garber will devour the action and romance of Holland’s debut novel—now available in paperback. Plus don't miss the thrilling sequel, Evermore! Sara Holland grew up between small-town Minnesota and the countless fictional worlds of books. She graduated from Wesleyan University and worked in a tea shop, a dentist’s office, and a state capitol building before heading to New York to work in publishing. These days, she can be found exploring the city’s bookstores or finding new ways to put caffeine in her bloodstream. 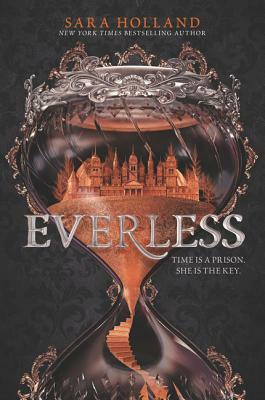 Everless is her debut novel and is followed by Evermore. Visit her online at www.sarahollandwrites.com.